Just a few more days and then it's time for Comic Con Amsterdam! We went last year and met some awesome guests. We met Sean Astin, James Marsters, Natalia Tena, Robert Englund and Lance Henriksen! 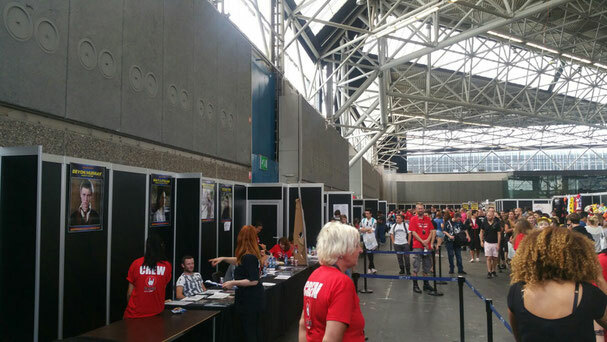 If you want to read more about Comic Con Amsterdam 2016, check out our overview. Unfortunately we won't be able to go to Comic Con Amsterdam this year. But: We still want to discuss the guest list with you! They have some pretty amazing guests. Kim Coates is mostly known for his role as Alexander "Tig" Trager in "Sons of Anarchy. He is also known for his role of Sgt. Tim "Griz" Martin in the award winning Ridley Scott film "Black Hawk Down". (Great movie btw). But besides these roles he played in a lot of movies and tv shows (for example: Prison Break, CSI: Miami, Battlefield Earth, Pearl Harbor, Waterworld, Resident Evil: Afterlife, The Last Boyscout and Silent Hill). We've already met him at a con and he's great! If you want to see us meeting him check out this video! 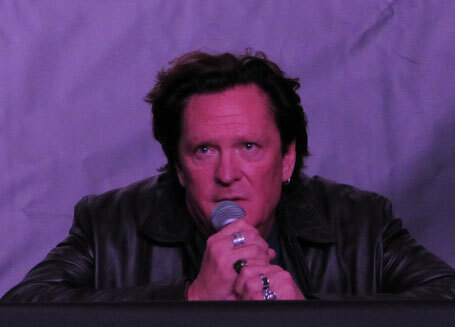 We also met Michael Madsen before. He's known for movies like Kill Bill, Reservoir Dogs, Donnie Brasco, the Hatful Eight and way, way more! Check out our article about him to see how we experienced meeting him. Will you be going to Comic Con Amsterdam? Who will you meet and what will you do? Let us know! I thought that guy looked familiar but I have never seen any of those films you mentioned. Should be an interesting experience to be a part of Comic Con. Hopefully, I will get to join one with my boys one of these days. I visit the Comic Con in 2017 and it was great. I meet Pamela Anderson, Kim Coates, Michael Dudikoff, Lyndsy Fonseca and Michael Madsen. With them I went on the photo and I bought a signed picture of them. Pamela singed my DVD of 'Barb Wire' and Michael M. my DVD of 'Kill Bill 2'. Also I bought a signed picture of Hannah Spearritt and Carice van Houten. Because I live in The Netherlands my self, I meet Carice a couple of years ago already. So, I'm on the picture with her already. Pamela Anderson arrived at 12 o 'clock in the afternoon. So, 3 hours to late and she didn't sign very much. She was not much at her signing table. But I was the tenth person in line. I also ask Pamela if her may give her a kiss and she say "yes". So, my day couldn't any better after that. Posed pictures at the signing tables was this time not allowed. You only could go on the picture with them at the photoshoots. Every guest you named was there. So, not so much cancellations as the first edition. To bad I didn't have you're e-mail. Otherwise I could show some pictures of the convention of me.